The war (and legislation) on invasive species is definitely hotting up. Last year we had the distinct possibility of landowners not controlling the spread of invasive plants from their property onto neighbouring land being either criminally convicted, fined or issued an ASBO. Now the local councils have been granted the powers to access private land, without the permission of the owner and eradicate the flora (or fauna) which have a potential threat to the surrounding environment. 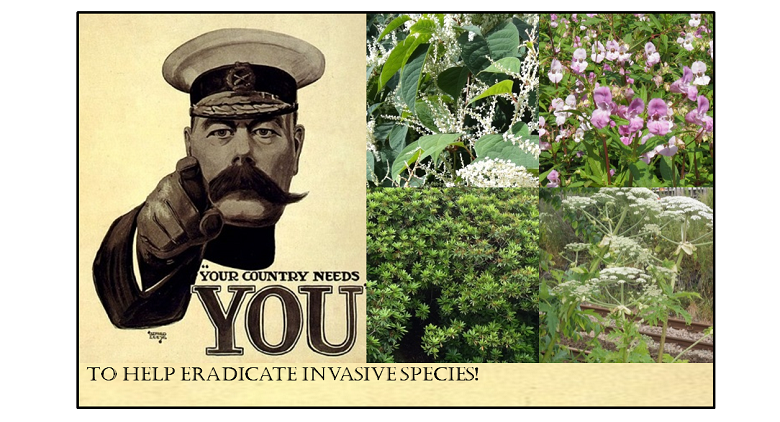 The powers have been granted predominantly for recently arrived invasive non-native species, but could be used to combat our established invasive species such as Japanese Knotweed, Giant Hogweed, Rhododendron, etc. Special Control Orders (SCO’s) can now be issued by the Environmental Agency, Natural England, Scottish Natural Heritage and Forestry Commissioners. If issued the order forces the landowner to remove the invasive species at their own expense or allow the issuer the right to access the land. 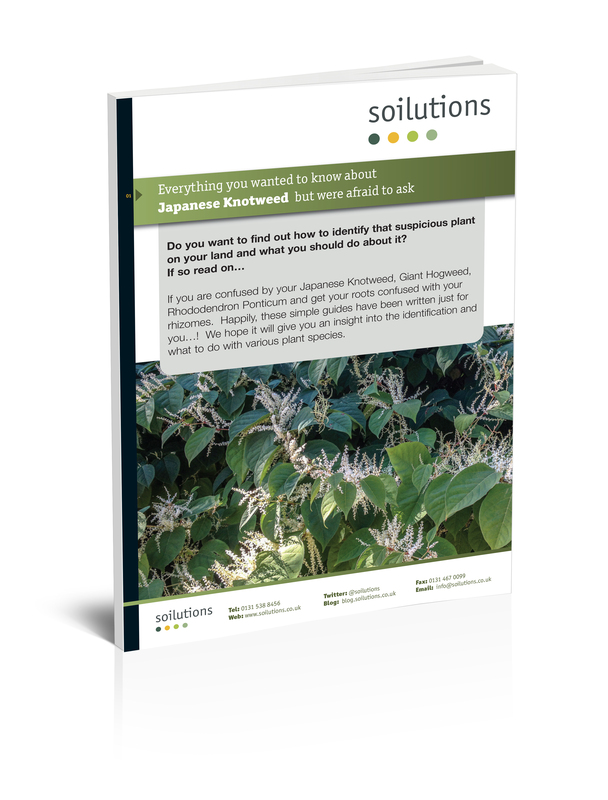 We’re currently in the process of producing a guide to Japanese Knotweed Removal which can hopefully answer any questions you have regarding the plant and eradicating it. Guides for Giant Hogweed and Rhododendron are also in the pipeline. Is eating Knotweed a recipe for success? As it’s coming up to the Christmas period and the time for eating drinking and making merry is almost upon us here’s a slightly left field addition to the usual Christmas menu, coconut panna cotta and candied Japanese ­knotweed. It’s actually the wrong time of year to be harvesting Japanese Knotweed, by now it’s all died back to dead, grey brown sticks but it did get us thinking, what else could you do with it? Well it turns out that we’re not the only people who like the elegant solution of eating a problem plant. Knotweed with cheese on oatcakes amongst other ideas has been tried by a chef in Sussex and this cleverly named site has a host of ideas, the Knotweed wine seems like a tempting choice as does this recipe for a Knotweed Vodka, well t’is the season after all. It’s commonly described as tasting a bit like rhubarb and if some of the claims are to be believed contains a host of beneficial nutrients. However, before you skip off to do your foraging in springtime when the shoots burst forth there’s a few things which you should consider. Firstly if you don’t dispose of cuttings properly you will potentially cause yourself a huge problem in the future and could even be breaking the law. You also need to know that it’s safe to eat the Knotweed. The obvious risk here is that somebody has been out and sprayed it with herbicide a day or two before you come to get your ingredients. If it’s all gone yellow and started to wilt then there’s probably been a recent application of glyphosate based herbicide. If the visible growth is twisted, stunted and a bit wrong looking then it’s possible that a persistent herbicide has been used at some point in the not too distant past. These are good obvious warning signs but they do take a period of time to become apparent after application so the best advice is to have a chat with the owner or land manager and find out what treatment plan is in place, if there is one. To avoid wandering off into a drawn out and perhaps slightly tedious treatise on the toxicology of herbicides I’ll simply suggest that given the choice it’s probably best just to avoid ingesting active herbicides. The other consideration is uptake of soil contaminants. Knotweed often grows on marginal sites where historical contamination is a distinct possibility. Phyto-remediation using plants such as willow to draw contaminants out of the ground is a well established remediation tool. If it’s growing on a contaminated site does knotweed drag contamination out of the ground making it toxic to eat? From the limited information available the answer seems to be not really although given that it’s illegal to plant Knotweed it’s hardly surprising that the readily available information on this subject is fairly limited. If the site is Part IIA listed it might be best to source your snack elsewhere just to be on the safe side. Still don’t let a bit of healthy caution put you off, in these financially straightened times a bit of foraging can be an exciting low cost way to expand your diet but please be sensible and think before you munch. If you have any recipe suggestions please post them below.